For fans of Eiichiro Oda, this action adventure is heaven-sent. For those of us who have absolutely no idea who Eiichiro Oda is, well, welcome to a wonderful introduction to the whacked-out world of One Piece on the PS3, Vita, Wii U and 3DS. A gorgeous-looking third-person JRPG-lite, you play Monkey D. Luffy, a young member of the Straw Hat Pirates who befriends Pato, a racoon with the power to create anything thats been drawn on a, err, leaf. Trouble is that said racoon drags you off to the Forgotten Island where everyone is kidnapped by The Red Count; save for you of course and the leaf-loving Pato who together must rescue your chums and thwart the nefarious plans of the Count. 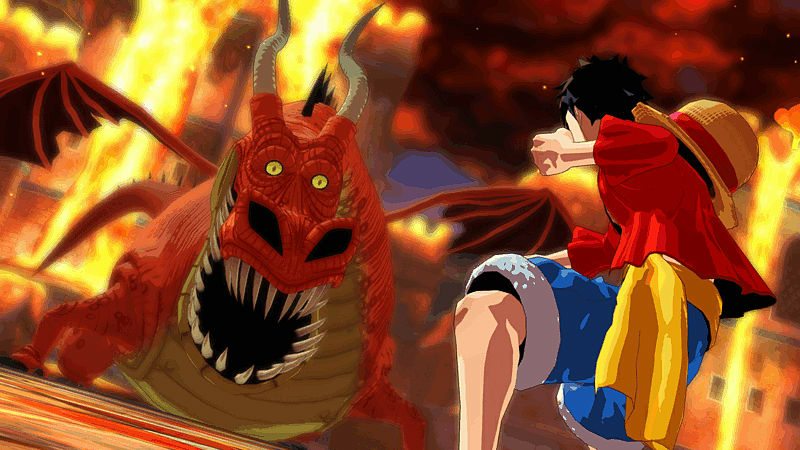 While that story might sound like something scribbled out by a seven-year-old whos eaten way too many bags of Habiro, the game is actually based on the acclaimed manga series  the best-selling in history in fact  by the lauded writer and illustrator Eiichiro Oda. Oh, and the anime spin-off has aired 600 episodes to date too. Then there are the videogames  there have been over 30 so far. 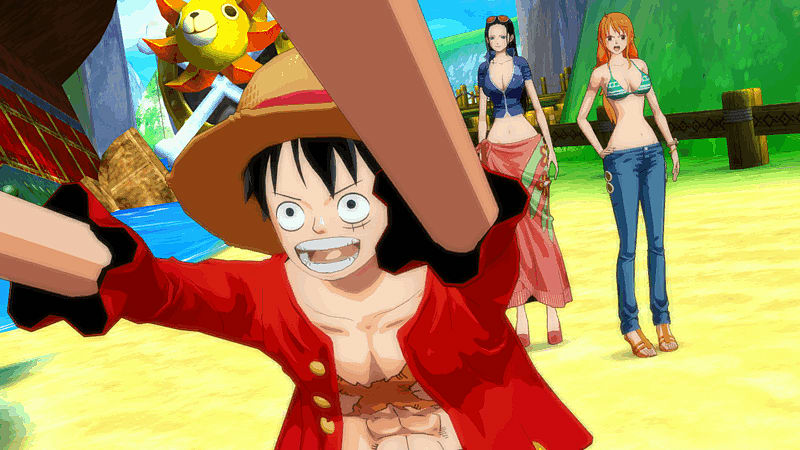 With such a prolific history then, youd think that perhaps Luffs exploits might have become a little jaded  but One Piece Unlimited World Red shows that Odas mentalism is still as fresh and fruity as its ever been. Operating out of the game worlds hub Trans Town, youll fight, explore and craft (plus indulge in a host of mini-games and fights in the the battle arena) on your quest to thwart the dastardly Count. Veterans can expect to meet a cast of familiar and fresh faces on their travels who either join your team or who are hellbent on destroying it  a giant talking squirrel, a monster made from jam, a chemical weapons-wielding clown and so, so many more. Keeping this insane imagination in check is a combat system that features a two-button approach to smite your foe with. That might sound a little too simple but in practise, proves to be rewarding as you flick between characters, tag-teaming takedowns and amassing combos. It all perfectly reflects the source material too  simple, engrossing and totally bonkers. Better still, enjoy the co-op mode on PS3 where a second player can leap in, or indulge in four-player action on the 3DS and Vita. 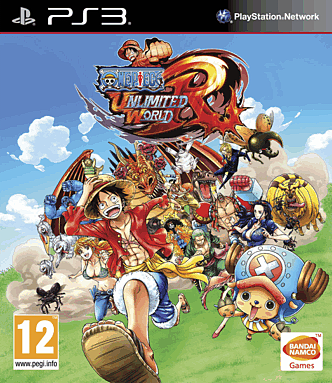 For One Piece lovers then, One Piece Unlimited World Red is fan service of the highest order but noobs neednt feel overwhelmed  so well-defined is each and every character and the gameplay itself so easy to pick up that youll soon uncover why Eiichiro Oda has become so beloved by fans the world over.